Secret bank files shows HSBC’s Swiss banking arm helped wealthy customers avoid taxes and hide millions of dollars, according to a report by investigative journalists. A CACHE OF secret bank files shows that HSBC’s Swiss banking arm helped wealthy customers avoid taxes and hide millions of dollars, according to a report by a network of investigative journalists. 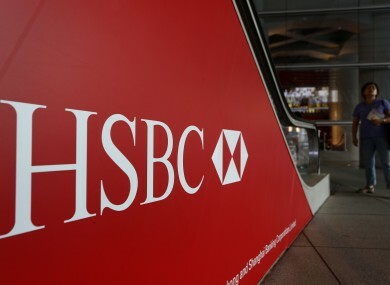 The files, analysed by reporters in the International Consortium of Investigative Journalists (ICIJ), showed that British banking giant HSBC provided accounts to international criminals, corrupt businessmen, politicians and celebrities. 350 clients with links to Ireland are included in the files, according to the ICIJ website — 51 per cent of whom had an Irish passport or nationality. Most of the data relates to the years 1988 to 2007. The revelations are likely to stoke calls for a crackdown on sophisticated tax avoidance by the wealthy and by multinational companies, a key political issue in Europe. All contacts through one of her 3 daughters living in London. Account holder living in Denmark, i.e. critical as it is a criminal act having an account abroad non declared. We acknowledge that the compliance culture and standards of due diligence in HSBC’s Swiss private bank, as well as the industry in general, were significantly lower than they are today. I think they were a tax avoidance and tax evasion service. I think that’s what they were offering. The investigation was done by the ICIJ, linked to the US-based Center for Public Integrity, who enlisted more than 140 journalists from 45 countries in cooperation with France’s Le Monde, Britain’s BBC and The Guardian, US programme 60 Minutes, German newspaper Suddeutsche Zeitung and more than 45 other media organisations. Alguadis told the ICIJ it was prudent to keep savings off-shore, while a spokesman for Timchenko said he was fully compliant with tax matters. Formula One driver Valentino Rossi, listed as having $23.9 million in two accounts, said he had regularised his tax situation with Italian authorities. In 2012, HSBC paid a record $1.9 billion fine in a settlement in a money laundering case, after a US Senate investigation found it was used to launder hundreds of millions of dollars for Mexican drug cartels. Email “Swiss Leaks: Irish clients on list of secret HSBC files”. Feedback on “Swiss Leaks: Irish clients on list of secret HSBC files”.